The Front Page 3 widget area in the Beckstead demo uses one (1) Text widget to display text and a button that, when clicked, allows the visitor to be directed to a custom URL of your choice. The theme demo uses the following content in this text widget, but you may use whatever message you wish. Go to Appearance > Widgets to add Text widgets to this area. Title: The widget title is the title text at the top of this widget. 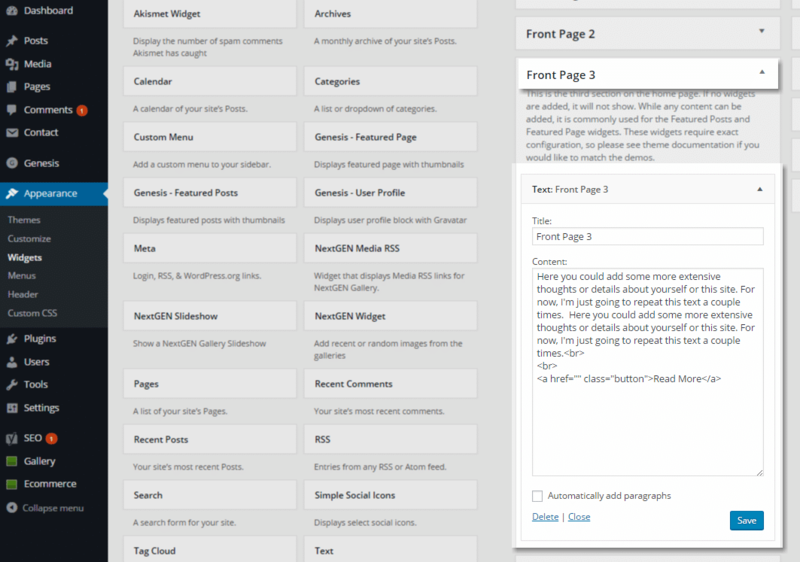 Content: In addition to paragraph text, the demo uses HTML to create buttons that link to an external site. You can add any custom URL you'd like here, be it another page within your website or another website.